ISLAMABAD: Pakistan is following with immense concern the crisis in the relations between Saudi Arabia and Canada and places on record its solidarity with the Kingdom of Saudi Arabia, the Foreign Office said on Thursday. 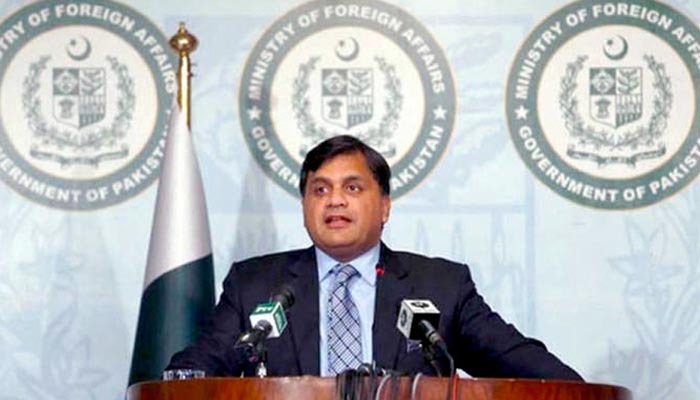 The FO spokesman said Pakistan has always supported the sovereignty of states and the principle of non-interference in the internal affairs of other states. ‘Both these aspects are enshrined in UN Charter and are among the basic tenets of international law, and the foundation of peaceful and friendly inter-state relations,’ he added. ‘We fully agree with the statement of the OIC Secretary General that Saudi Arabia enjoys immense respect at the regional and international level, as it does among the people of Pakistan,’ the statement further said. The FO stated that Pakistan stands by the Kingdom of Saudi Arabia in protecting its sovereignty as a matter of principle and based on the historic and brotherly relations between our two countries. Tensions have been high between the two countries since Monday, when Riyadh expelled Canada’s ambassador, recalled its own envoy and froze all new trade and investments after Ottawa denounced a crackdown on rights activists in Saudi Arabia. "Both sides need to diplomatically resolve this together. We can’t do it for them. They need to resolve it together," US State Department spokeswoman Heather Nauert told a briefing on Wednesday. The move came after Germany’s foreign minister last November remarked that Lebanon was a "pawn" of Saudi Arabia after the surprise resignation of its Prime Minister Saad Hariri while in Riyadh.